One floor living at its finest! Newer roof (3 yrs), Newer A/C (4 yrs). This classic 4 bed | 3 bath split floor plan, accommodates the growing family while allowing separation and room for guests as well as a dedicated office space. The hub of this and any home is the kitchen. Open to the family room, pool and with a wonderful eat-in area, the kitchen is the place your family will enjoy every day. With the beautiful granite, utilitarian island, updated appliances, stylish backsplash and plenty of storage, your new kitchen awaits. Sliding glass doors lead to the great pool space, perfect for that quiet morning coffee or for hosting a tasty barbecue. The upgraded plantation shutters (throughout the entire home) provide the opportunity for both wonderful light & amazing privacy. The spacious and relaxing master suite is on one side of the home. The master suite includes 2 large walk-in closets, a walk-in shower, updated cabinetry, and a soaking tub. The remaining 3 bedrooms are on the opposite side of the home, separated by the living space. The 4th / guest bedroom features it's own bathroom and is in the back of the home. The home itself is on a wonderful, fully fenced yard on a pie shaped lot, offering privacy while still being in a family-friendly community. Westchase offers 2 swim & tennis centers, an award-winning golf course, parks, trails, terrific shopping, restaurants, and playgrounds. 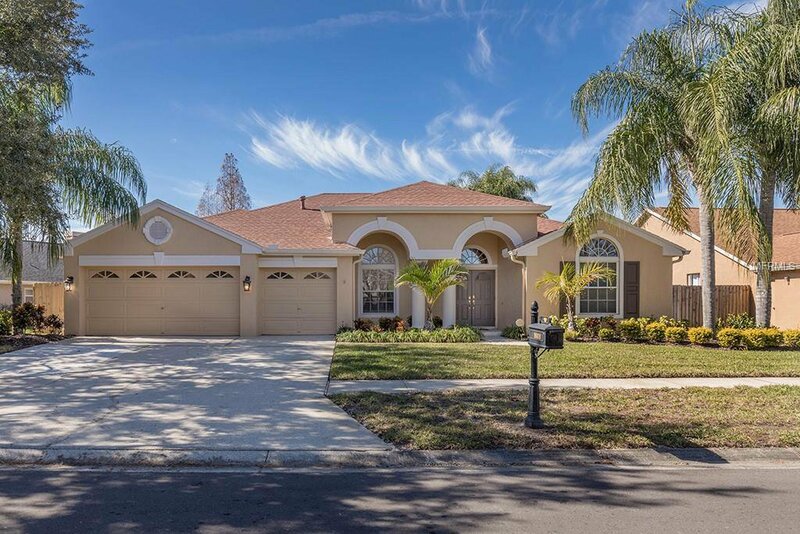 Close to the Veterans Expressway, Tampa International Airport & downtown. Listing courtesy of FLORIDA EXECUTIVE REALTY. Selling Office: COLDWELL BANKER RESIDENTIAL.